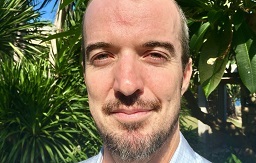 We are pleased to announce the appointment of Dr Andrew Jones as the Director of Geoscience, Energy and Maritime at the Pacific Community (SPC). His appointment will formally take effect on 11 September 2017. Andrew holds a PHD and BSc in Earth Sciences from The University of Queensland. Andrew has 17 years of experience working with extractives and development teams of Geoscience Australia. He was engaged in senior management roles the majority of that time, which included planning, managing and delivering more than a dozen donor-funded projects on behalf of Australia’s Department of Foreign Affairs and Trade (DFAT) and foreign governments; and also developed and managed an extensive stakeholder network at senior levels across multiple regional government agencies and with multilaterals such as the UN and World Bank. His management responsibilities included integrating large multi-disciplinary teams and operational budgets for a broad and complex multi-stakeholder network across national and cultural boarders in countries such as Indonesia, Philippines and PNG. He has worked extensively in the Pacific, primarily in the field of disaster reduction, and has led projects focused on climatic and geological hazards in PNG and Tonga and developed programmes on spatial data analysis for the South West Pacific region. Andrew joins us from Mongolia where he is the International Resources Advisor to the Australia-Mongolia Extractives Program. Andrew was providing technical assistance to the Government of Mongolia, to align Australian best mining practices to assist the sustainable development of Mongolia’s extractives sector. His role also included providing input to policy and legislative instruments on world’s best practice for managing the upstream components of the resource pipeline. This included direct input to regulatory arrangements for managing the resources sector.